The 2018 Wellesley Turkey Trot 5K is SOLD OUT. No wait list. No exceptions. The race sells out every year, sign up early next time. Registration opens 7/1/2019. We are still accepting registration for the Kids Fun Run. Note this race is ONLY for children under 10 years old. It is a separate event than the 5K. There is a Turkey Trot in Dedham that is still accepting runners. Check out 2018 Family Gratitude 5K Turkey Trot & Kids 1/2 Mile Run on Active.com. 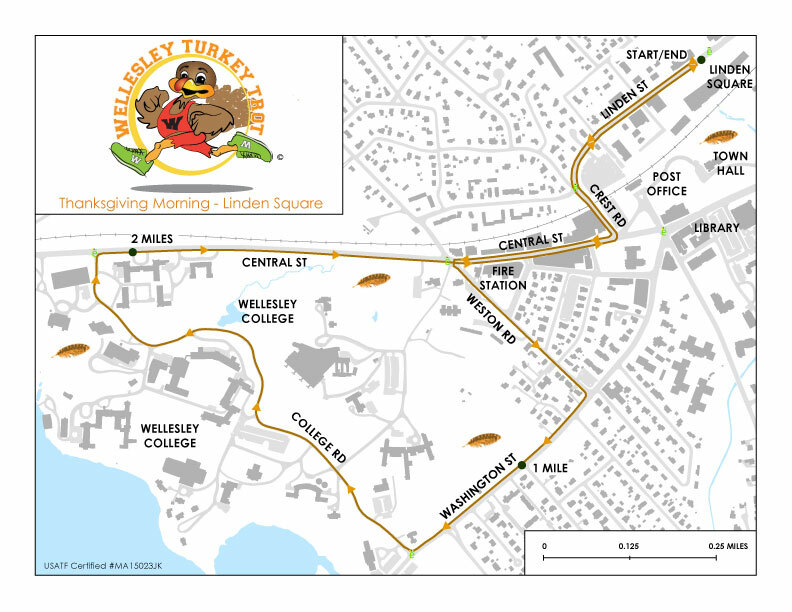 Happy Thanksgiving and thank you for your interest in the Wellesley Turkey Trot. Prizes include gift certificates for Marathon Sports.